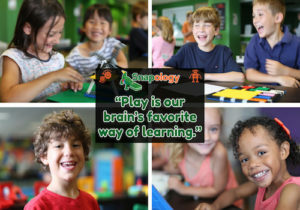 Snapology programs bring STEM / STEAM to life using LEGO® bricks, technology and other engaging tools. 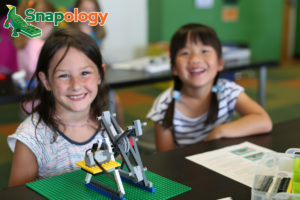 Snapology Summer Camps have tons of exciting LEGO® camps planned this summer, including family favorites like Star Wars, Superheroes, AttackBots, Creature Robotics and more! Plus, fun new camps like Escape Snapology, Movie Making; Planes, Trains and Automobiles, and Amusement Park Adventure! As always, all full-week campers will get to build their own genuine LEGO® mini-figure to keep at the end of each camp. Snapology Summer Camps’ pricing varies by location and number of sessions. Save 10% on select full-day camps before April 1. Lunch stay, early drop-off and late pick-up are all still available at no additional cost. 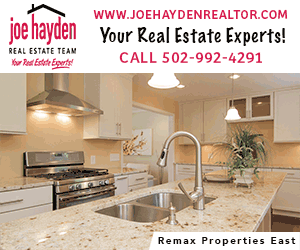 Summer 2019 locations include the St. Matthews Community Center, the Jewish Community Center, GradePower Learning in Middletown, Sayers Classical Academy and more. Please review the map below and find a location near you! 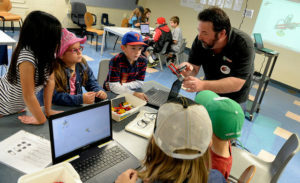 Our camps provide a fun, safe and inclusive environment for children ages 5-12 to learn about robotics, programming, engineering, art and science, and boost their problem solving and teamwork skills, all while having a ton of fun with their friends. See why families loved our camps last summer – please visit our summer camps calendar to read full descriptions and sign-up today! Click here to get back to the LouFamFun Summer Camp page.